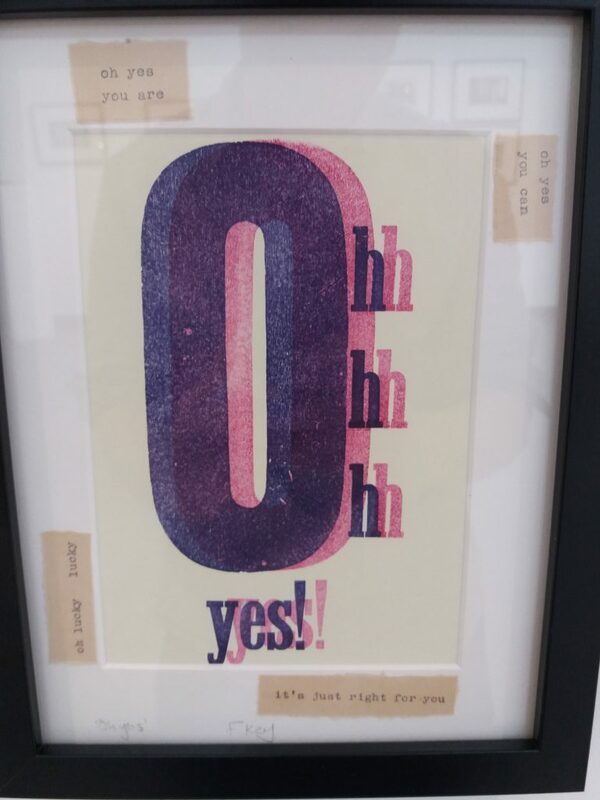 During Dementia Awareness Week, poet and printer Francesca Kay worked with patients with early-onset dementia at Barry Hospital St Barruc’s Ward’s Friends Group. 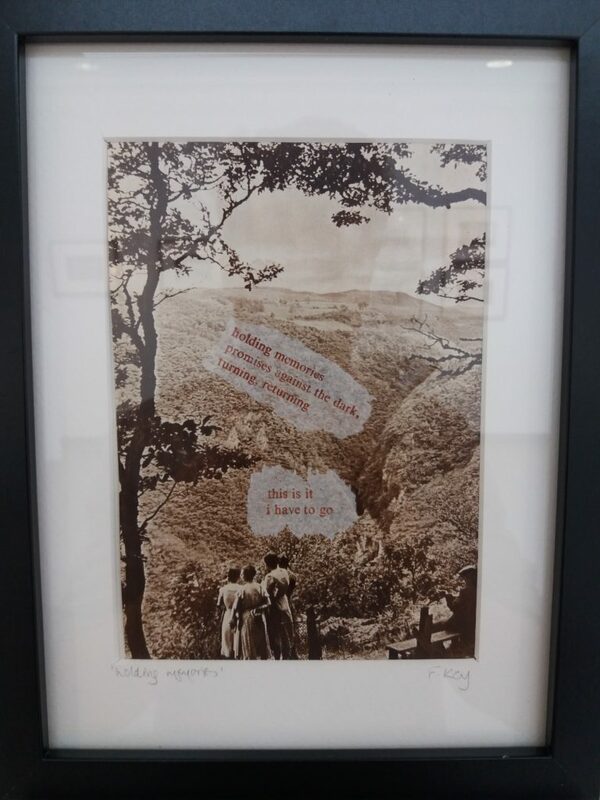 Their words, along with words contributed by University Hospital Llandough staff, were compiled into poetry pieces that reflected the complexity of memories affected by dementia. 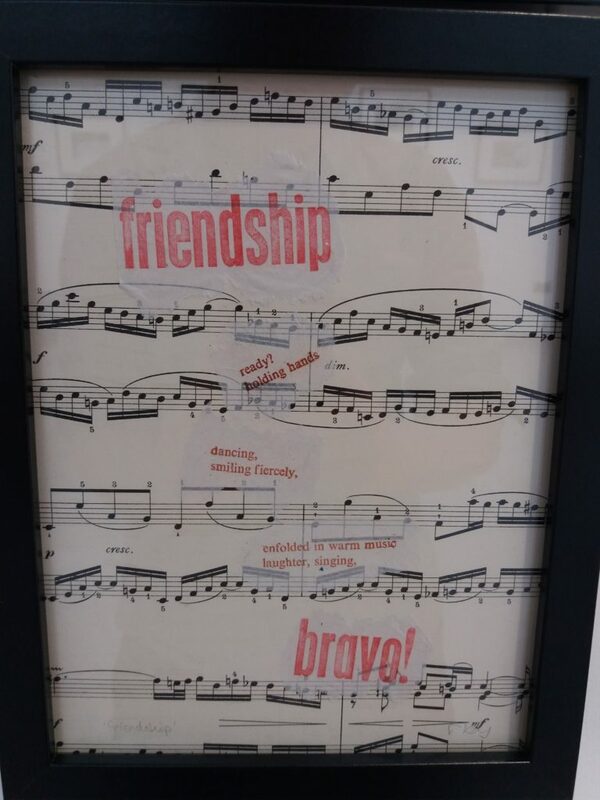 The project gave voice and creative expression to patients, contributing to their sense of dignity and self-worth. Staff also benefited through new ways of interacting with their patients. 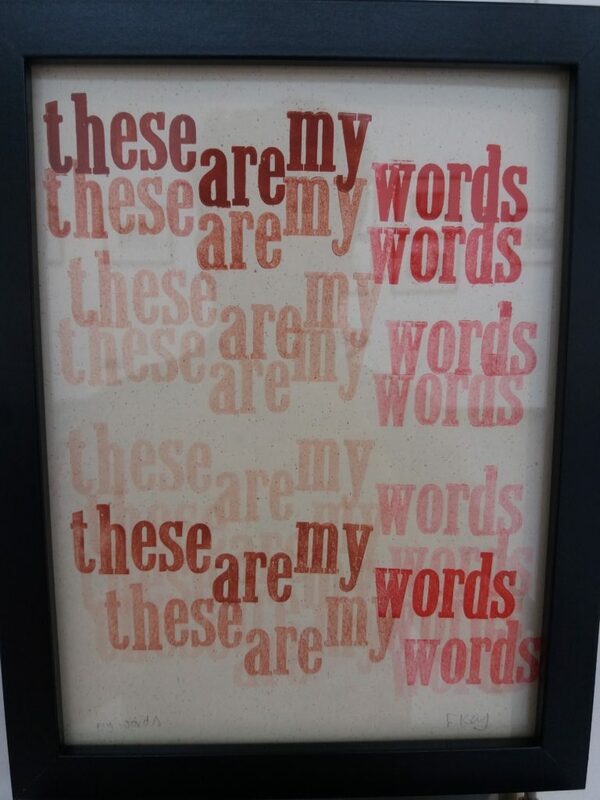 The poetry was part of the ‘Threads: Memory in Focus’ exhibition which explored the fluid and complicated nature of memory. The exhibition was open to the public until 1 June 2016. This activity has helped increase well-being for participants and creates greater social and community cohesion by including the family of patients in the project. On Monday 21 November 2016, Year 6 pupils from Ysgol Bryn Onnen came to ‘takeover’ Big Pit and turn part of the museum into a home fit for The BFG as part of Kids in Museums Takeover Day. Bardd Plant Cymru (Welsh-language children’s laureate), Anni Llŷn, and rapper and hip hop educator Rufus Mufasa helped the pupils unleash their creativity through Roald Dahl inspired writing workshops. After interpreting their dreams by making Dream Jars, the pupils worked with Anni to create imaginary giants with words, before turning their creations into rap poetry with Rufus. 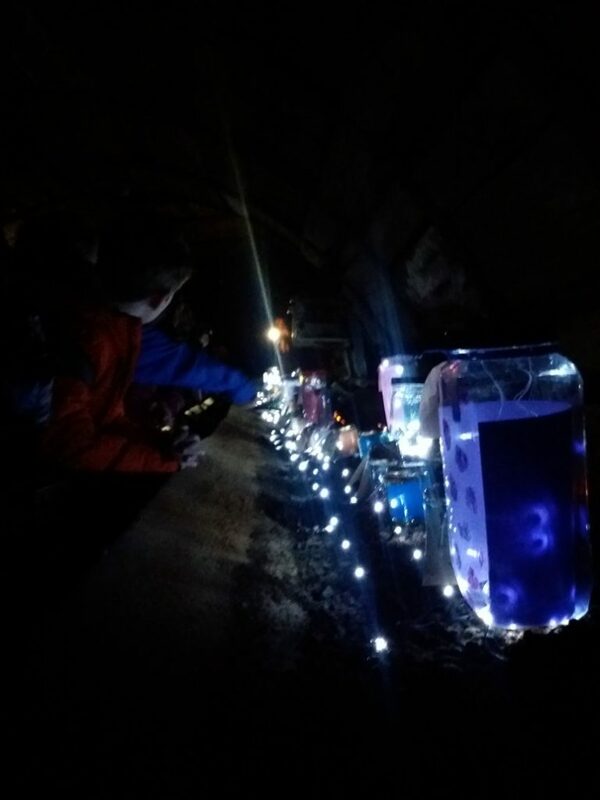 The highlight of the day was dressing the ‘King Coal’ underground simulation with the glittering Dream Jars to resemble The BFG’s cave, and performing and recording poems in the space. 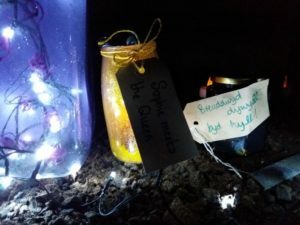 The event was developed in partnership with Literature Wales as part of the South Wales Literature Development Initiative and the organisation’s Roald Dahl 100 Wales celebrations. Literature Wales will be supporting further writing workshops at the school. 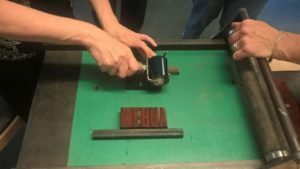 This was a project developed in partnership with National Museums Wales and Torfaen County Borough Council. In the summer of 2016, Literature Wales in partnership with Newport Mind and Big Issue hosted creative writing workshops for young people who struggle with mental health or have experienced homelessness. 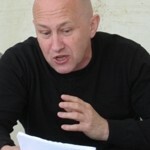 Held in Newport’s Grade II listed building, Beechwood House, the workshops were led by poet and playwright Patrick Jones. According to the Arts & Health Foundation, engaging in creative activities can provide ‘a mental boost’. Writing creatively has the potential to relieve stress, improve concentration, provide an outlet for emotion, and offer opportunities to connect and collaborate with other writers. 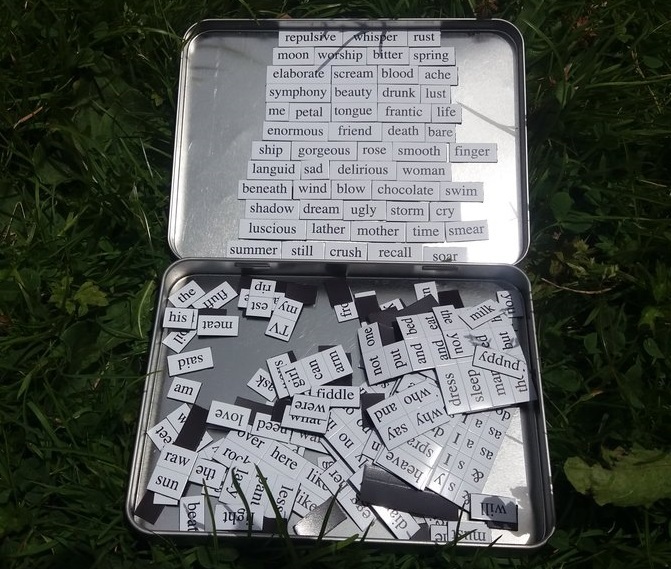 The group wrote A-Z poems about positive thinking, made cut-up poems from old books and assembled poetry from magnetic words, often over a picnic in Beechwood Park. The Big Issue ran a Q&A session for the group about writing in journalism and how to get their poetry published. During the November half term, Mike Church led a drama project to give young carers from the Caerphilly a chance to enjoy and learn more about drama and develop trust and friendships with each other through their experience of performing together. This was also a chance for young carers to have a break from their caring role. Through team games and role play, Mike built teamwork, unlocked imagination and helped the group immerse themselves in creativity. Each session started with warm up games like ‘Eek, Woosh and Pass’, and giant Rock, Paper, Scissors. In the afternoon everyone took part playing roles in stories like the ‘Hat Maker’ (each person playing a monkey and stealing a hat from the hat maker). The young carers started playing with characters through role playing. The Laughing Chair, where the person sitting down is not allowed to laugh and people takes turns trying to make them laugh. Nobody made it up to one minute in the chair. The groups then put together poetry about a brick, with everyone contributing ideas for what it could be used for. These ideas were then built on in small groups to develop little plays which were performed at the end of the day, all showing just how much can be imagined from a humble brick. Commune is a free wordpress theme ready for wordpress 3.1+. This theme is 100% free and is a nice playground! Hope you like it!